The Pointe is a spectacular waterfront crushed granite patio and part of seven rustic acres on the shore of Canyon Lake. A winding trail through the small oaks leads you out into the open and under the stars. Free-roaming deer graze through the natural hill country terrain throughout the year. Take advantage of the panoramic views from The Pointe for stunning sunset pictures with the lake as your backdrop for your ceremony and reception sites. The Pointe boasts easy access to the water’s edge at the adjacent Swim Cove for water fun. 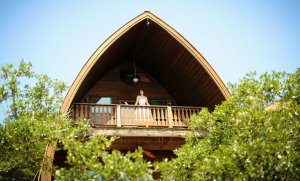 We are the preferred Hill Country accommodations. Host up to 146 of your closest friends and family for the entire weekend to kick-start your union making memories of a lifetime. Copper-topped Cathedral Cabins line the oaks and overlook the pristine blue waters. One-bedroom Lodge Suites sit atop the hill where guests can enjoy feeding deer by hand or relax on the spacious decks, all with lake views! 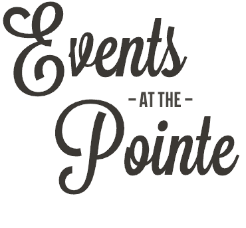 Events at the Pointe is the ideal spot for couples who are looking for a more relaxed and personal experience for their wedding weekend. Canyon Lakeview Resort’s casual environment inspires you to bring friends and family together to celebrate the most amazing day of your life!